Mess of a Woman. Adopted by the King. Messiah to the Messed Up is out now! Click to order @ Amazon.com. My name is Sue Ciullo and I’m a mess. Walk into my office. Depending on the day, you are likely to find stacks of unfiled papers, shirked responsibilities, unreturned phone calls, unpaid bills, and other uncompleted tasks. 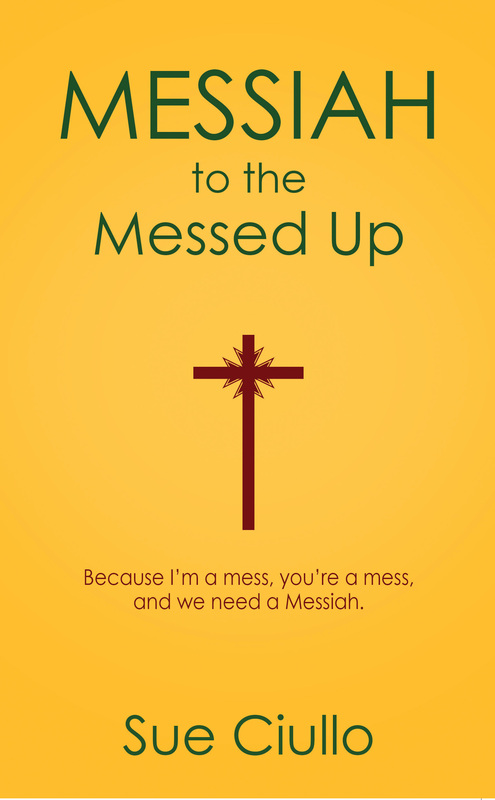 But I have a Messiah, and that has made all the difference. Sue Ciullo © 2019. All Rights Reserved.